In a world where new products and solutions are created and introduced to the market daily, buyer personas are often left feeling unsure if their decision to purchase your solution is the best. Helping the buyer discover your value proposition over a competitor could be all you need to close the deal. SmartBug Media helped American Fitness Professionals & Associates (AFPA) do just that. 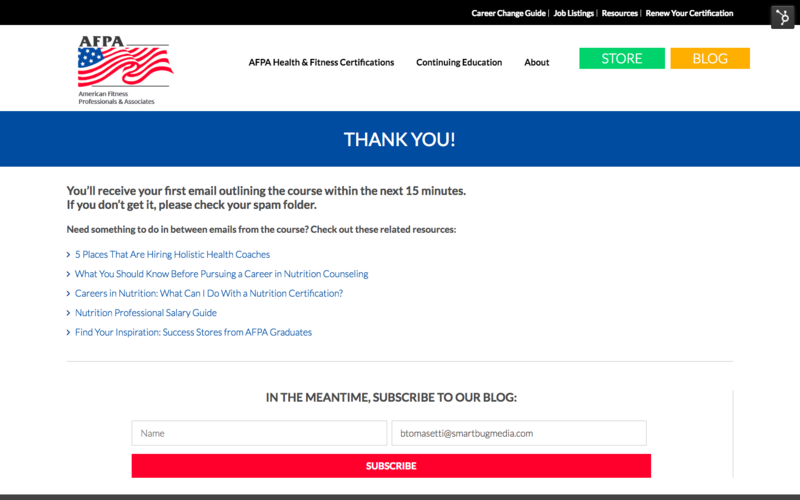 By creating a free sample course of AFPA's main offering—the Health & Wellness Certification—the buyer is able to see the value of the purchase before making the commitment. This case study details the work SmartBug Media executed within HubSpot to increase conversion rates, revenue, and create happy customers for AFPA. AFPA has been helping people gain the knowledge and skills they need to launch their careers in fitness and nutrition since 1994. AFPA’s world-class certification programs, from yoga to holistic nutrition to youth fitness, have enabled and inspired thousands of students to pursue their dreams. The Health & Wellness Coach Certification is one of AFPA’s more than 25 certification programs. This course is designed to give students what they need to help others enhance their lives through lifestyle behavior changes. 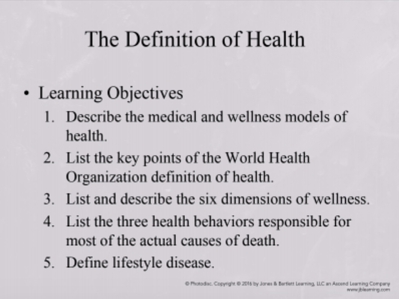 From start to finish, one can complete the program and become a certified Health and Wellness Coach in six months or less. This certification is accredited by the National Association of Nutrition Professionals (NANP) and allows graduates of the program to become board certified health coaches through the American Naturopathic Medical Certification Board (ANMCB). Will this course be worth it? What will the material be like? Am I interested enough in this topic to complete an entire six-month program? How can I be sure this exact certification is the right one for my goals? Should I complete my certification with AFPA or another organization? For the previous year, the Health & Wellness Coach certification barely made it into the top five most popular programs on AFPA’s site at just 3 percent of program purchase volume. We wanted to work with AFPA to create a new offer in a fresh design that would promote this valuable course and remove the friction for potential students by giving them a taste of what they will learn in the program. In order to cut through common questions and concerns, we had to show — instead of just tell — potential students how AFPA’s Health & Wellness Coach certification is the most comprehensive, valuable program they need to launch their career in the health and wellness industry. What better way than to give potential students a look under the hood than with a free sample course using actual program content? In addition to the e-book-style sample course content, we wanted to put together a refreshed conversion path design to show off this new offer and for AFPA to be able to use for future premium content offers. After kickoff, our marketing and creative teams got to work on content creation for the sample course and wireframes for the new templates. We challenged our creative team to utilize the information in this deck to create a more readable, digestible e-book. While our copywriter worked her magic, the design team planned wireframes for the template refresh. The custom HubSpot landing page was designed to provide the visitor with social proof and key information about the offer. In addition to the typical landing page best practices, the new template included stats about AFPA’s programs, testimonials, and accreditations that are particularly important to serious prospective students. A call-to-action (CTA) button in the header takes visitors directly to the form at the bottom of the page. Once the wires were finalized, it was time to move into design. The custom landing page was brought to life from wireframe to design, and the thank you page, promo email, and follow-up email were given facelifts using HubSpot CMS. The focus was on maximizing the conversion rate of the new templates and moving the visitor further along the buyer’s journey. For example, the thank you page template includes three customizable CTA modules. Because the sample course is a decision stage offer tailored to prospective students interested in enrolling in AFPA’s program, the follow-up CTAs are directed at purchasing the full Health & Wellness Coach course or exploring other specialty programs. The free sample course has already been downloaded about 1,000 times with a 51 percent view-to-submission conversion rate since its launch on May 18, 2018. It has been less than a month since launch, yet 21 site visitors who downloaded this offer have already become customers. The remaining more than 900 contacts are currently enrolled in the lead nurturing workflow on their way to becoming official AFPA students. 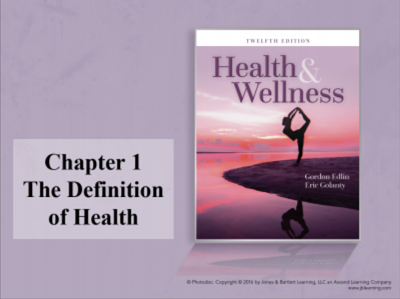 Also, the Health & Wellness Coach certification is already starting to take a larger piece of the pie when it comes to percentage of transactions. 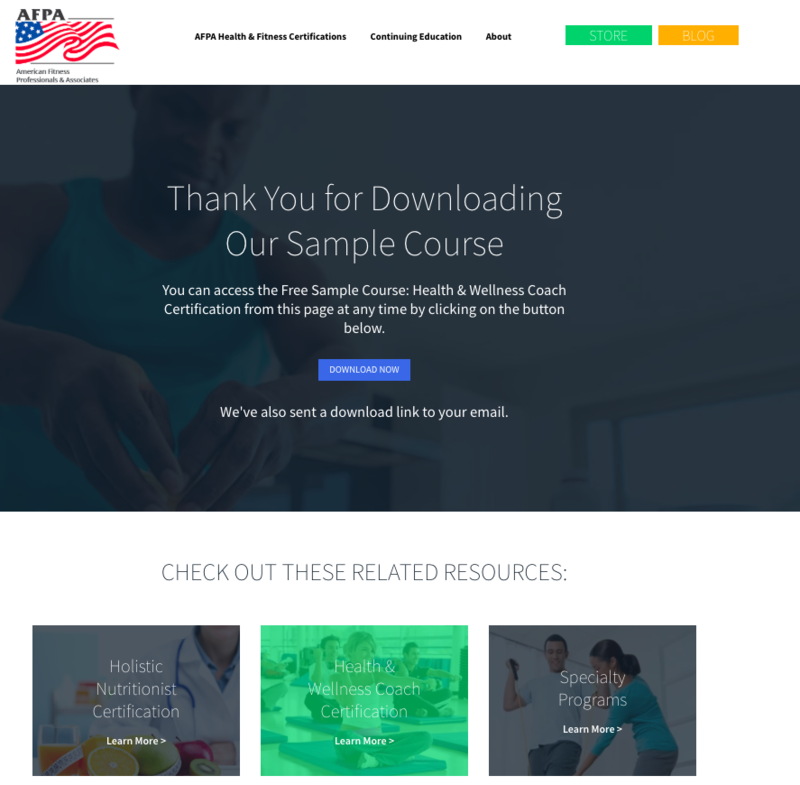 Since the sample course launched, the Health & Wellness Coach certification has accounted for 7.2 percent of purchases (compared to 3 percent in the past year).